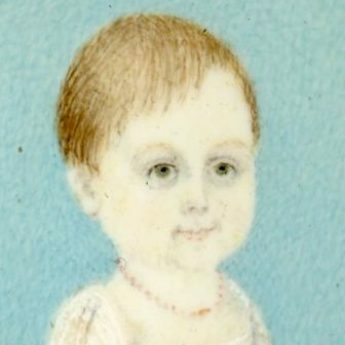 This charming portrait shows a young child named by an inscription on the reverse as “Little Edward Yorke”. Edward is shown wearing a white muslin dress with short sleeves, a high waistline and a pleated bodice. He also has a coral necklace; these were commonly given to children in the belief that they would ward off evil spirits and keep the child in good health. 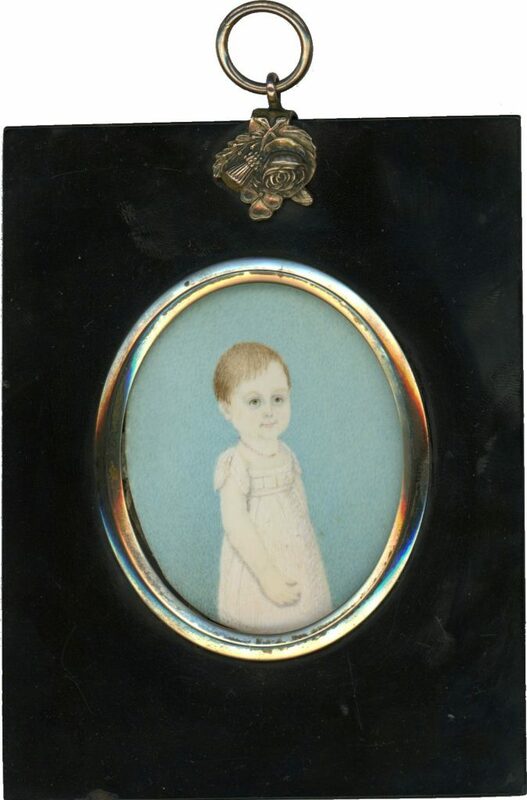 The portrait is presented in a traditional papier-mâché frame with an emblems (rose, thistle and shamrock) hanger.